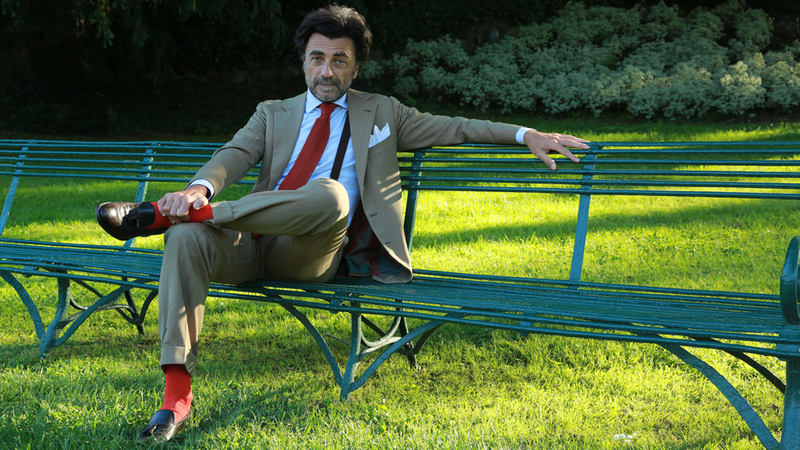 Just when one of the last great Florentine tailors entered into retirement, Stefano Bemer’s Tommaso Melani came knocking with an idea for a new menswear label, Sartoria Vestrucci. 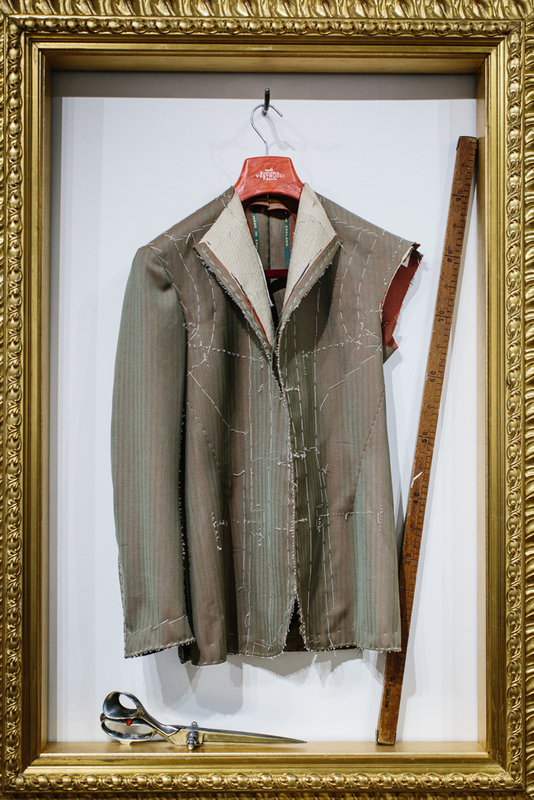 Loris Vestrucci, who began cutting his teeth in the art of bespoke suiting at a 12, had been running a tailoring business with his wife out of his home for a number of years. 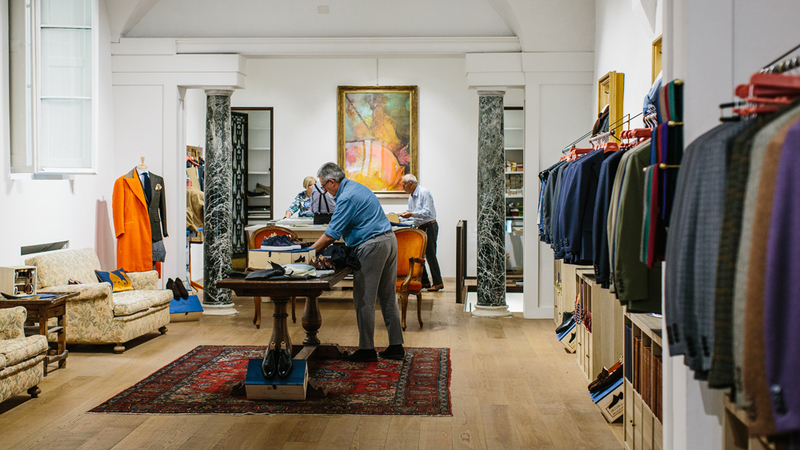 Vestrucci has long been one of Florence's most sought-after tailors by those in-the-know. "He's the kind of tailor I remember my grandfather talking about with pride," says Melani. "My grandfather was a stylish man without ever being stiff. In the summer, he would wear his white tuxedo in our garden to have a drink with his wife. He was the Clark Gable of Florence." At 77-years-old, when Vestrucci announced he would be retiring, Melani pounced. "I asked him, 'And then what? You don't want to leave a legacy?'" says Melani. "All of the Florentine masters have retired, except for Liverano." Melani proposed that they start a label under Vestrucci's name to carry on his craftsmanship and unveiled it at Pitti Uomo last year. Now at 79-years-old, Vestrucci is well past Italy's average retirement age of 66, but Melani has hired young apprentices to train under the master tailor to ensure the techniques will last well into the future. Nestled into a deep space on the south side of the Arno river in Florence at 58 Via Maggio, Vestrucci is back at the cutting tables in his new eponymous shop that opened last June, where he trains two next generation master tailors. But it takes years to train apprentices in this level of bespoke tailoring. "He doesn't have that kind of time, so I set out to do what I did with Stefano Bemer and translate his ideas and his style into ready-to-wear," says Bemer. The idea of reviving old masters and making their work available to more luxury consumers beyond the .001 percent is Melani's modus operandi. In 2012, he took over the business of the late bespoke shoemaker Stefano Bemer, extending the cordwainer's signature craftsmanship into made-to-order and ready-to-wear. The Italian entrepreneur is now applying the same idea to Vestrucci's business. Ready-to-wear still commands a pretty penny, starting at AU$4,643 /£ 2,638 at current exchange for a suit. The return on investment, however, is a genuine Florentine-tailored look — extended shoulders, no front darts, and close quarters — that is more elegant than Neopolitan tailoring and less stiff than the English tradition. For bespoke, prices can go up to AU$9,287/£5,276 at current exchange for a suit, but, especially while Vestrucci is still in the atelier, it will be worth it. And if you're buying at that level, you might as well start planning your next jaunt to Florence.